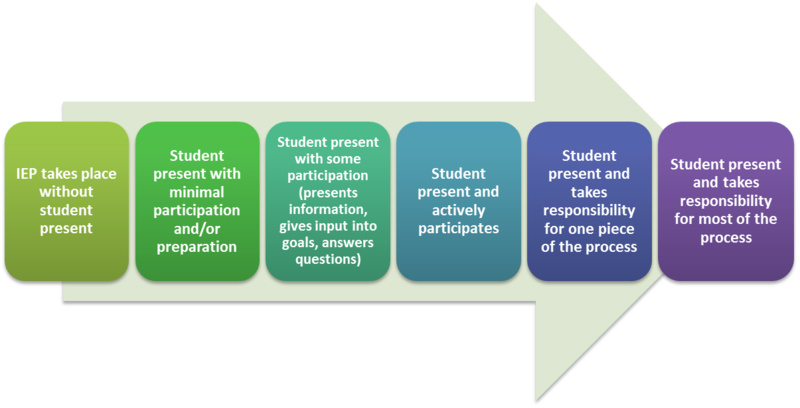 What is a Student-led IEP? Student-led IEPs reflect practices that support active student participation in IEP development and processes in which students take a leadership role in making decisions about their future. Throughout the IEP process, IEP team members (including the student) assess student strengths and needs and develop goals. These plans are then implemented and regularly monitored in order to determine whether or not adjustments should be made. Other participants in the IEP meetings include parents/caregivers, special educators, general educators, support staff, administrators, and students. 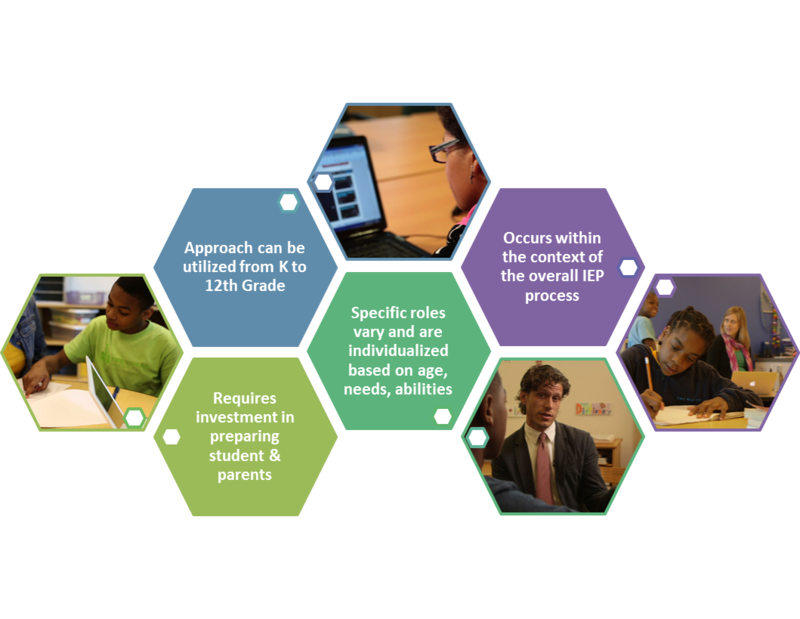 Student participation throughout the IEP process should be individualized and based on the age, needs, and abilities of the student. IEP Teams will successfully achieve meaningful student involvement when they work individually with students to determine appropriate levels of involvement and create corresponding plans for student preparation. How Do You Implement a Student-led IEP? Students, schools, and families who are interested in student-led IEPs can use this toolkit to get started. Remember – there is no single correct way to prepare for and conduct student-led IEPs. Each school, family, and student will develop different processes and practices in response to the structure of the school and the needs of the individual students. This toolkit is meant to encourage innovation and support schools and families as they enhance the ability of students of all ages and abilities to meaningfully participate in the IEP process. All content copyright © Office of the State Superintendent of Education unless otherwise stated.